Who knew? 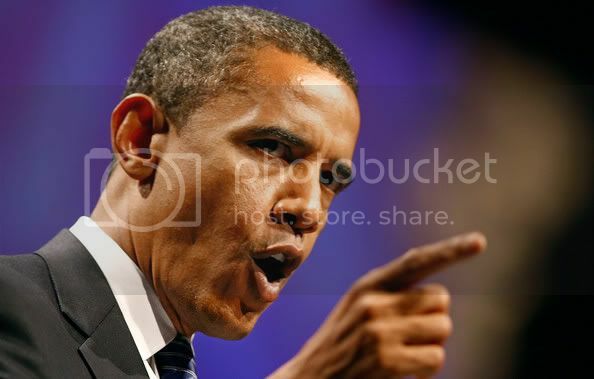 President Barack Obama's got a very dirt mouth. If you read President Obama's book, Dreams from My Father: A Story of Race and Inheritance, then you'd know Ray, his high school friend, was an interesting character who cussed like a sailor. So, when Obama recorded the audio version of the book, he recorded Ray's words, too. We are gagging. Certainly, it's odd - but refreshing - to hear a president cussing like the rest of us do, even if it's just for the sake of literature. OBAMA MY BEST PRESIDENT WOULD NEVER EVER IN HIS LIFE SAY DAT SO STOP TRYING 2 GET PEOPLE WHO SOUND LIKE EM 2 ACT AS IF HE IS BAD. DONT HATE CUZ U ANENT PRESIDENT HATERS GONE FALL BACK. HE OUR PRESIDENT AND U BETTER NO IT IF NOT DEN MOVE OUT THE U.S. AND ILL BELIEVE IT WHEN I ACTUALLY SEE HIS MOUTH MOVING AND EYES BLINKING IN THE VIDEO THANK YOU. Dumbass. Of course he said it, he recorded the audiobook. What did you think, he'd read the nice parts and get Bill Clinton to do the voiceovers for the f-word? ha ha...i could say something but i won't. he is a man, human as can be, he just got a big important job...HAAA!! Hey This is FUN to listen to. Can you find some more? Obama has fed on the IGNORANT voter's desperate/lost position.